Elixhausen is a small community north of Salzburg with a population of almost 3,000. Elixhausen is a typical commuter′s village of the Flachgau area, economically fully oriented towards the nearby capital. Elixhausen is linked to Salzburg via a regional railway, it takes less than ten minute to get to the main station. The origins of Elixhausen can be tracked back to the 11th century, when the area was given from the Prince Archbishop to the nunnery of Stift Nonnberg. 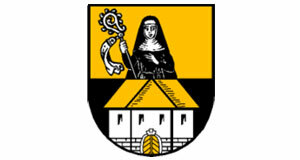 The name "Elixhausen" is derived from "house of the abbot" (or whatever a female abbot is called) and refers to the landlord. The nunnery carefully managed the area and developed the local agriculture. In the Middle Ages, one of the Flachgau′s biggest agricultural courts was run in Ursprung, operating more than 100 hectares of land (for a comparison: today′s average size of a farm in the European Union is 13 hectares). Like many villages of Salzburg, Elixhausen later suffered from the Napoleonic Wars and underwent a severe recession in the 19th century. Until after WWII, Elixhausen was characterised by agriculture. A rapid population growth came with increased mobility especially since the 1960ies. Today, Elixhausen is effectively a prosperous suburb of Salzburg. For international tourists, is might offer a glimpse into rural Salzburg and cheaper accommodation than the city; however, due to the vicinity to the city, you should not expect bargain deals. For those you will have to go even further north.